Police are appealing for witnesses following a burglary in West Chiltington in which the offender tried to steal a vehicle from the drive. It happened at around 10.10am on Thursday, June 8 – the day of the general election – at a property in Church Street, police said. The offender got in via an unlocked door and stole a purse and car keys. He then tried to steal a vehicle from the drive but was disturbed by the householder and ran off in a northerly direction, Sussex Police said in a statement. Police have described the offender as white, aged between 45 and 50, of average build and with short dark hair. He was wearing a blue top and carrying a dark ‘duffel type’ bag with cream-coloured straps. Tom Carpenter, of the West Sussex Community Investigation Team, said: “The suspect is believed to use the rail network to travel around before walking considerable distances to target premises. “I’d urge anyone who saw a man fitting the description given, who saw or heard anything suspicious or who may have other relevant information to come forward. Anyone able to help is asked to email 101@sussex.pnn.police.uk, report details online here or phone 101, quoting serial 1637 of 08/06. 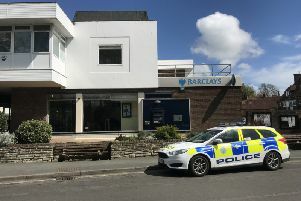 According to police, a 44-year-old man from Bognor Regis has been arrested on suspicion of burglary and released under investigation.